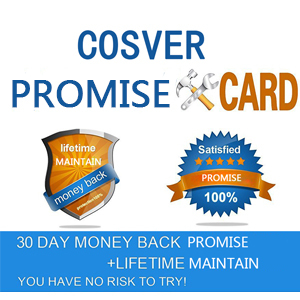 Sold by COSVER and Fulfilled by Amazon. Gift-wrap available. FEEL THE DIFFERENCE OF COSVER ! 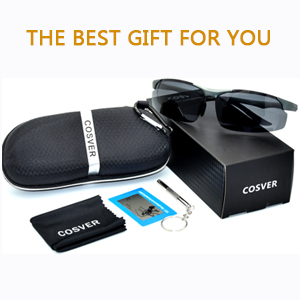 COSVER Mens Sunglasses Keep your eyes protected from the sun and feel comfortable! 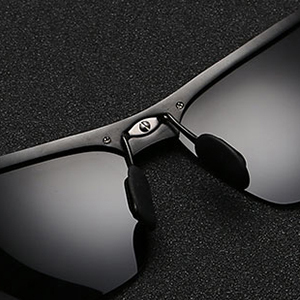 Bring out the adventurer in you and excel in every sports activity you do with COSVER Mens Polarized Sunglasses. Specially made for the travellers, trailblazers,driving lovers and outdoor enthusiasts. 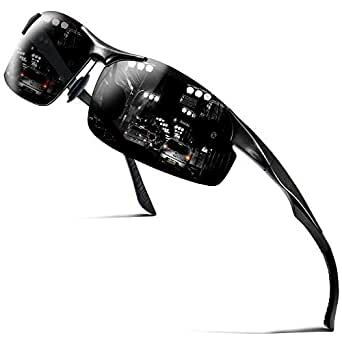 It gives you an enhanced optical vision and all-round eye protection. 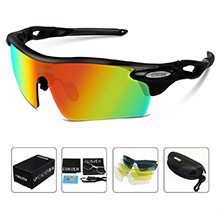 A must-have while driving, fishing, golf, hiking,snowboarding, running, skiing or for any activity that shows rapid changes in light that is reflected from a surface. 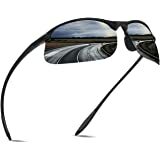 Our glasses acts as a barrier which reduces theintensity of light reflected from horizontal surfaces such as water, snow or road. 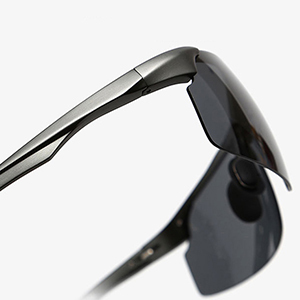 COSVER sunglasses passed US FDA and EU CE test. 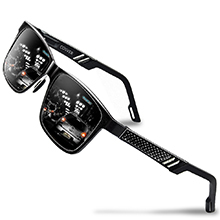 COSVER focuses on a wide variety of functional glasses, from UV400-protection polarized sunglasses to anti-blue-light gaming glasses, night vision driving glasses, prescription glasses, and sports cycling glasses. 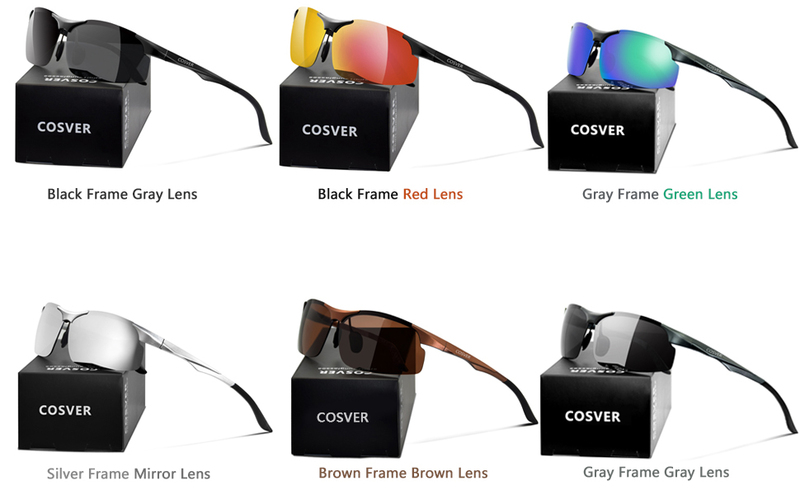 Pick your favorite colors and join together to experience COSVER!! 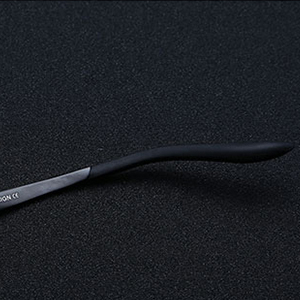 COSVER,The Seiko produces not only fashion, but also cares about the details!We specialize in producing and designing sunglasses,Each pair of sunglasses has passed tens of thousands of tests.Provide you with the best one!Choose COSVER to choose the best experience! Raw Material - Assembly - Packaging - Delivery! 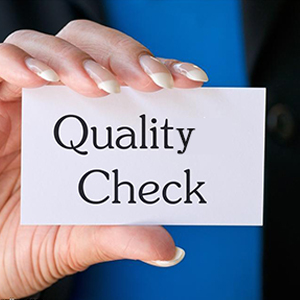 Strive to provide you with the best products and services! 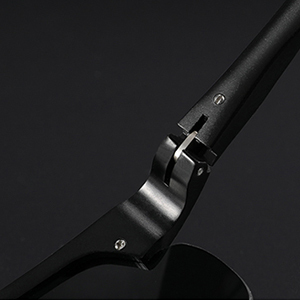 We promise that If you encounter any problems or need for improved advice of the product during use it, please mail us,we do our best to solve your problem，thank you so much! 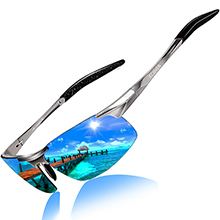 1-Never use seawater to clean the lens. 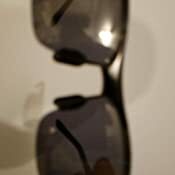 2-Never use tissue or rough cloth to clean the lenses. 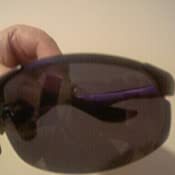 3- Never leave your sunglasses under car's front window, especially in summer. 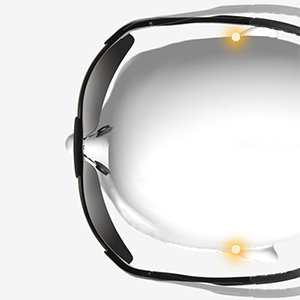 Prolonged exposure to the oven-like temperatures inside a car can degrade the lens. Gift package is available, making it a wonderful gift idea for your friend! And it is also the premium choice and a great present for Birthday, Xmas, Valentines' Day, Father' Day, Anniversaries and other festivals. 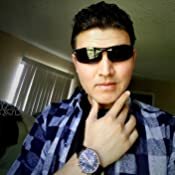 Very good quality and nice looking. I recommend this ITEM. 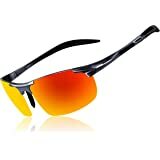 Wife got me these for my birthday because I had been whining about wanting some new shades. 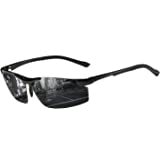 I have had Maui Jim's and Costa's, I can see as clearly through these as I do through those. 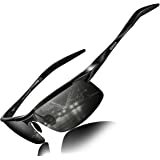 Biggest difference in quality comes from the weight, and that is just personal preference, these are a little heavy, because I am used to the ultra light Maui Jim's. 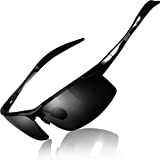 They are sturdy and well made and a great value for the price. According to her, these look the best on me of any pair I have owned. 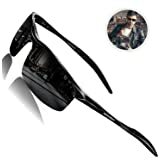 I was under the impression that this model was polarized sunglasses, but not. 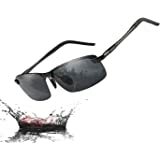 Not to take away from the durability and functionality they are exceptionally well made with style. I still have to give them 5 stars or I would be lying on the review. 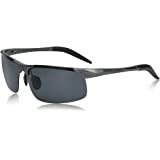 They are nice light weight polarized sunglasses. 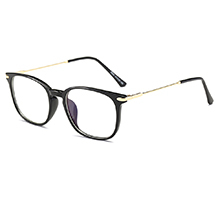 However, I don't feel they cover enough of my eyes they are a tad short and there is space between the nose and frame which let's light in so unless you are looking directly straight then the sun gets in from the nose on top of the brightness from under the lenses from being short. Overall they are just okay. 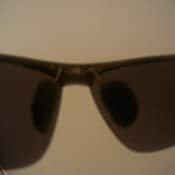 Darker than most of my sunglasses which is what I was searching for. Fit perfectly right out of the box (until I gave someone a hug with them hanging from my neck). 5.0 out of 5 starsPerfect for fat heads. Just put these on for the first time...and I don't think I'll ever buy an expensive pair ever again. so comfortable to wear!